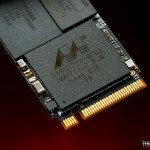 This year is starting to look like a great one for consumer SSD storage. Competition is increasing, prices are lowering, and speeds are getting much faster…well they will be. 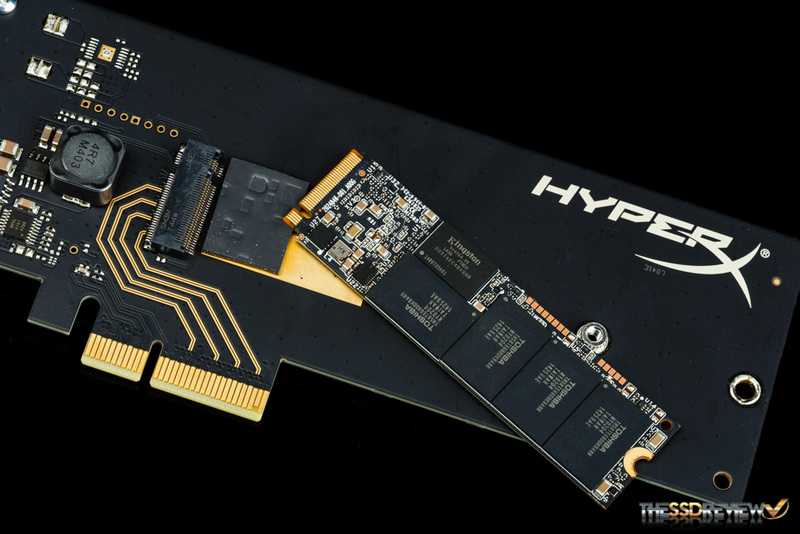 We have started seeing a stronger push in the entry level market and there are quite a few SATA 6Gb/s M.2 SSDs available, however, there hasn’t been much push in the enthusiast market with M.2 PCIe SSDs. 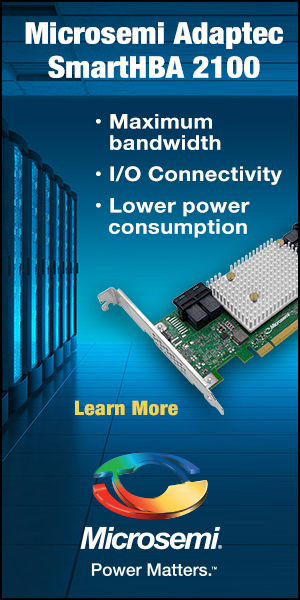 Sure, there is the Plextor M6e, but it is a PCIe 2.0 x2 M.2 SSD. Then there are the two other main options, the Samsung XP941 and just recently SM951, however they are hard to get as they are mainly OEM SSDs and there have been issues with getting them to work properly as boot drives as not all motherboards support them. 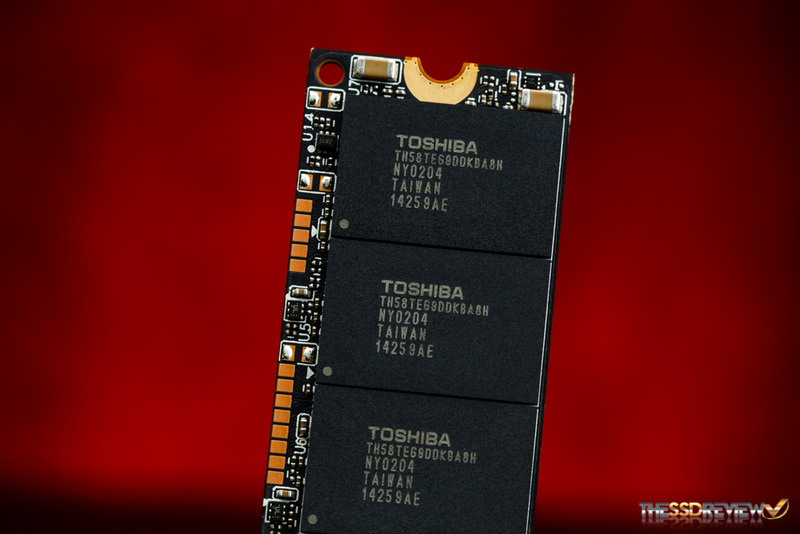 Not only that, but their capacity ranges are limited to 512GB. What we really need is a readily available consumer/enthusiast oriented M.2 PCIe SSD that starts to show the advantage of the PCIe interface…and that is exactly what Kingston did! 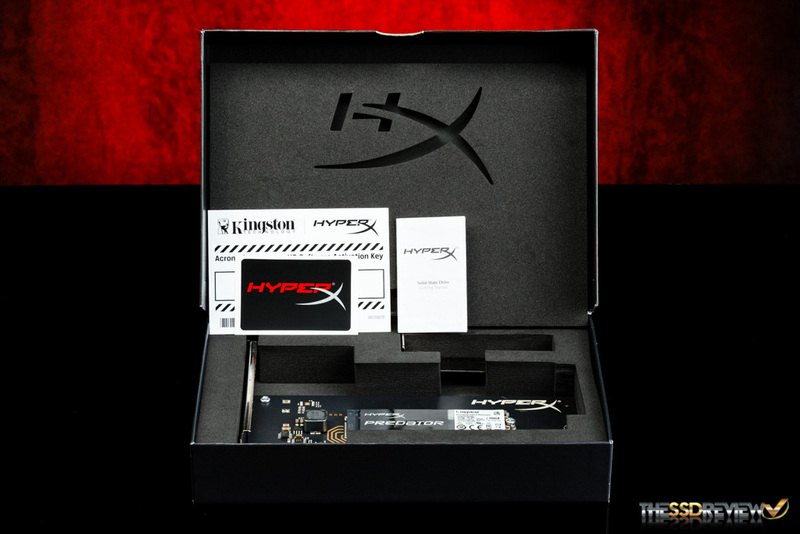 If you remember earlier this year we took a trip to CES 2015 and got a first look at Kingston’s HyperX Predator M.2 PCIe SSD. It is a PCIe 2.0 x4 M.2 SSD that offers speeds of up to 1.4GB/s, that’s about 3x faster than standard SATA 6Gb/s SSDs. Now, we finally have it on our Test Bench and boy does it perform well! 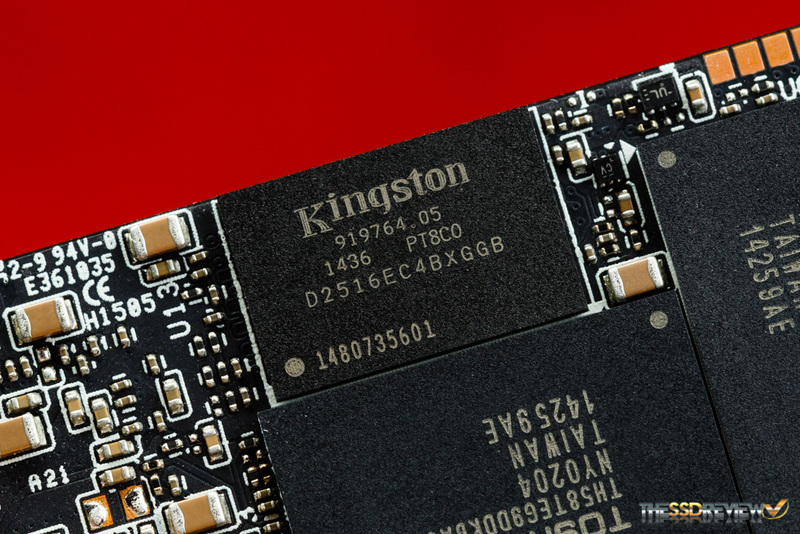 This is Kingston’s first attempt at developing a high speed M.2 PCIe SSD and they took their time to do it right. 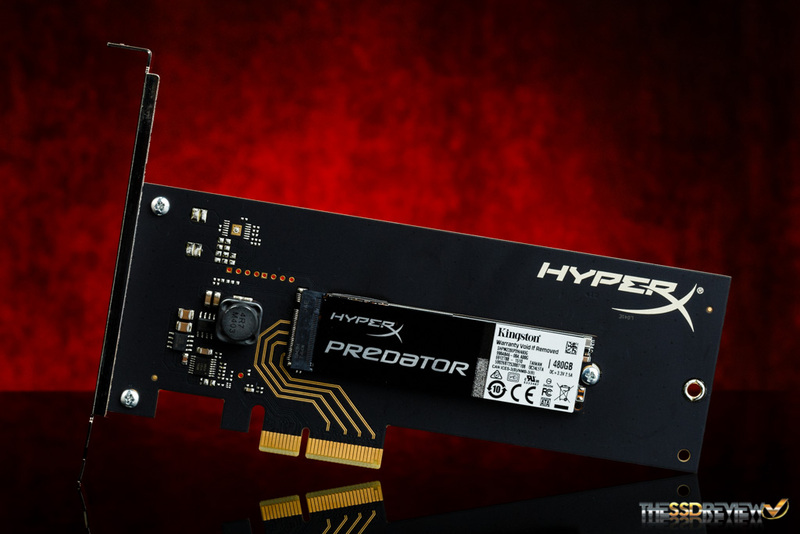 The HyperX Predator M.2 PCIe SSD utilizes the PCIe 2.0 x4 interface to achieve read speeds of up to 1.4GB/s and write speeds up to 1GB/s. When looking at IOPS, this SSD can deliver up to 160,000 read and 119,000 write! Sustained random 4K read/write is rated for up to 120K/78K respectively. 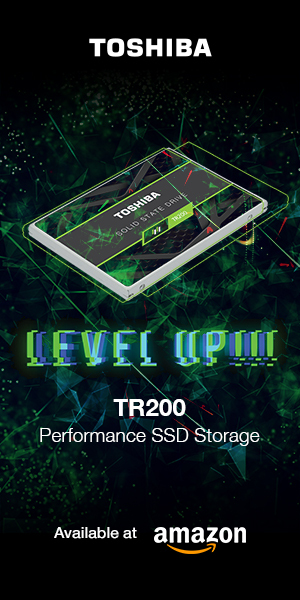 Currently this SSD is available in 240GB and 480GB capacity, however a 960GB model will be released in the coming months. The MTBF rating is at 1 million hours. The operating temperature range is 0-70C as it is with most SSDs. The power consumption is rated at 1.38W idle, 1.4W average, and up to a maximum of 1.99W for read and 8.25W for write. 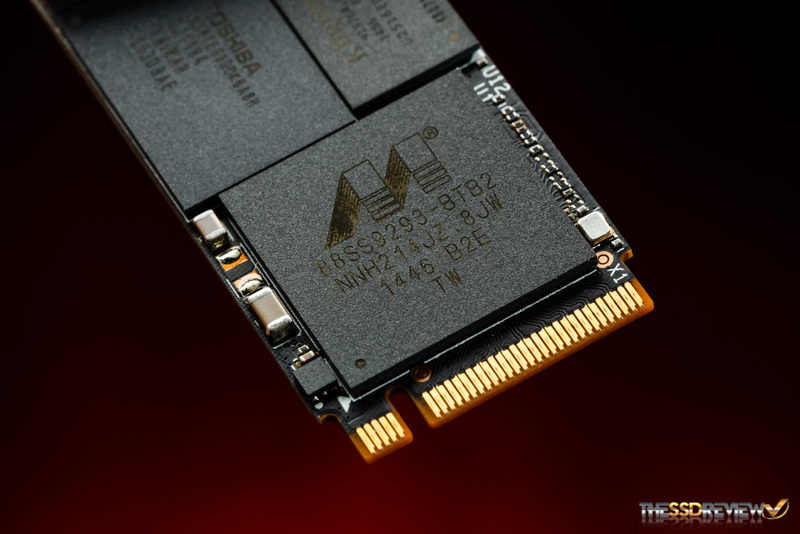 The dimensions for the M.2 SSD itself are 80mm x 22mm x 3.5mm (M.2 2280 form factor) and the weight is 10g. 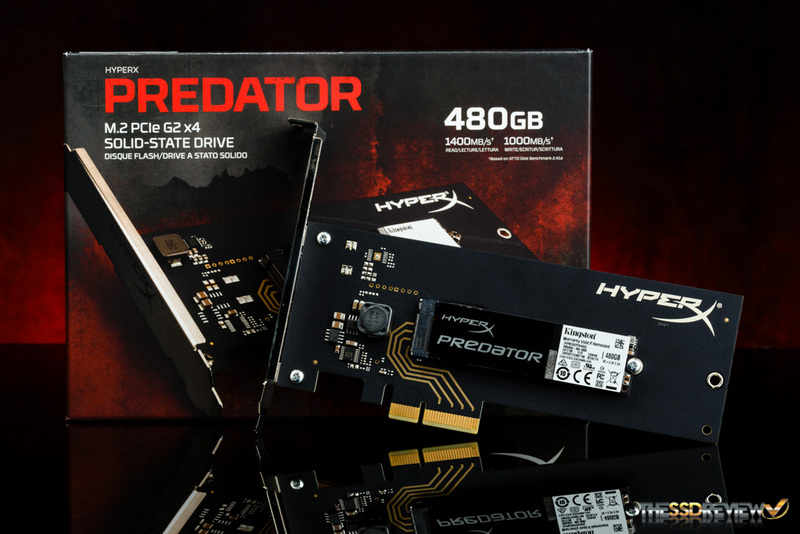 The 240GB HyperX Predator M.2 PCIe SSD is rated for up to 415TB writes and our 480GB model is rated for up to a staggering 882TB! The warranty coverage is only for three years however. With these numbers, the SSD is rated for 1.6 and 1.7 drive writes per day. 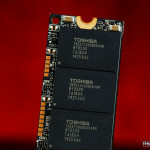 We would have really liked to see a longer warranty for such a premium and high performing SSD. Now, pricing on these SSDs match their place in the market, the 240GB model will set you back $241.74 (w/ adapter) and the 480GB model is $469.74 (w/ adapter). They are also available without the adapter, but Amazon is listing them at higher prices at the moment. At these prices it is just under $1 per GB, or about twice the cost of that of a regular SATA 6GB/s SSD. Hopefully after there is some stronger competition we will see some lower prices, but these are the street prices for now. 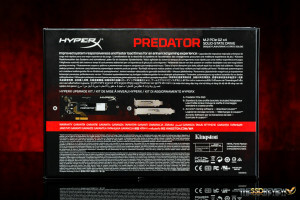 As an enthusiast product, the HyperX Predator M.2 PCIe SSD comes in packaging to match. 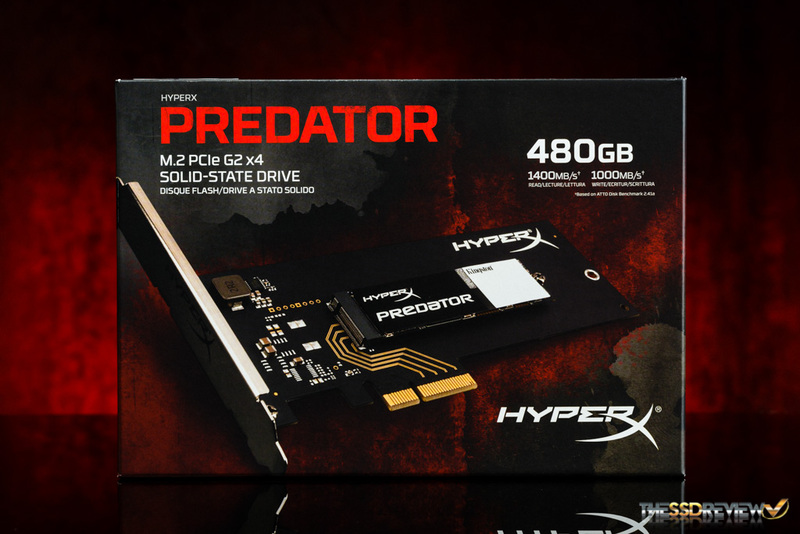 The front of the box features an image of the SSD and is accented in a dark black and red grunge theme. The name and capacity are both in large print to draw attention. 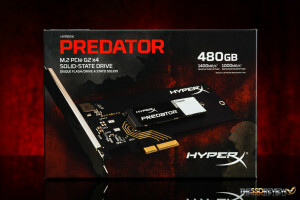 The M.2 PCIe 2.0 x4 interface and listed speeds of 1400MB/s read and 1000MB/s write are listed on the package as well. The backside lists what is included as well. We can see there is also a quick start guide and HyperX sticker on top of the SSD, low-profile bracket, and Acronis True Image key. Looking at the packaging it is apparent that they wanted to show case it in all its glory with the custom cut out foam insert. As a premium product, it demands it. Our HyperX Predator M.2 PCIe SSD is mounted in a blacked out M.2 to PCIe bracket, this is great for people who are looking for high speed, yet do not have a motherboard with supporting M.2 sockets. We are glad that they have gone with a blacked out PCB with unmasked gold PCIe traces as a green PCB would not be anywhere near as good looking as this. The PCB is void of any flashing lights or any extra connections as the Plextor M6e Black Edition had in our review earlier this year. 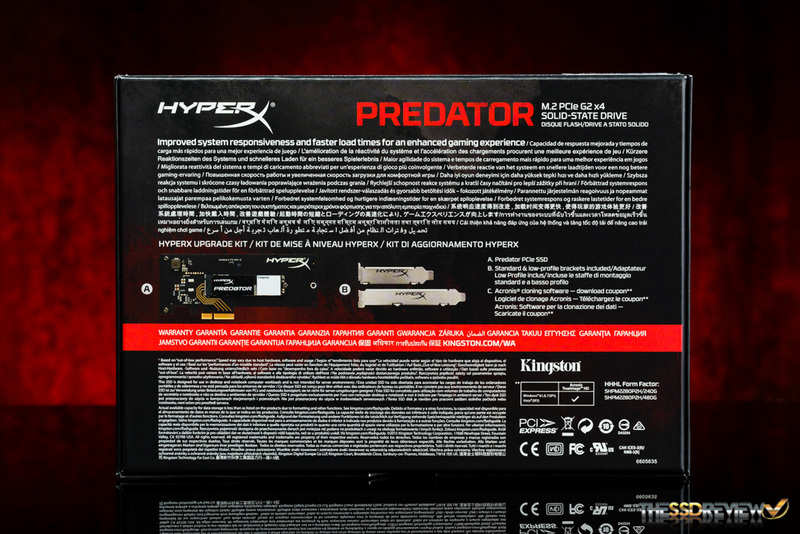 Also, while comparing the M6e, the Kingston Predator M.2 PCIe SSD does not have a warranty void sticker over the screw securing the M.2 2280 SSD card. 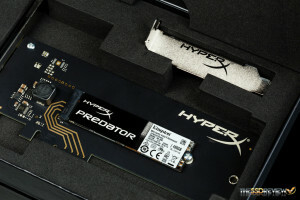 This means that if you get the HyperX Predator M.2 PCIe SSD with the adapter, you are not stuck with leaving it in the adapter, you can move it to an M.2 socket in your system freely. Taking the M.2 PCIe SSD out of the adapter we can see that it has a thermal pad on the PCB behind the controller to help dissipate heat created by it into the adapter card. 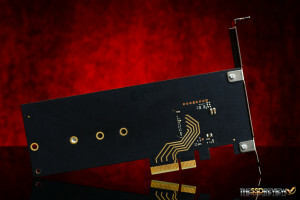 Also, as this is an M.2 PCIe 2.0 x4 SSD, it features an M key connector. The HyperX predator M.2 PCIe SSD is powered by Marvell’s PCIe 88SS9293 controller. We have seen this a few times at events last year and even CES and we are happy to finally be able to see how it performs in our hands. This controller should prove to be popular for upcoming PCIe SSDs as it has low heat output and high performance. We even seen that the Plextor M7e will feature this controller later this year. The NAND being used is Toshiba A19 Toggle. There are eight NAND packages in total, each 64GB in capacity. Once the SSD is formatted there is 447GB of usable capacity. As for the DRAM Kingston are using their own brand DDR3 1600 low voltage chips. There are two on our sample, each 512MB in capacity for a total of 1GB. Nice review, thanks. Could you try this ssd on older motherboards (x58) that don’t support uefi, and check if it can boot from it? Thanks, still, if you have any old motherboard laying around and you could try it, i would be grateful. 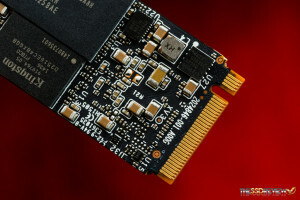 I believe that a lot of people with older motherboards that don’t have m2 sockets and are bottlenecked from sata3, would be interested in pcie ssds , but of course with the ability to boot from them. When they ask for your opinion, i think you should mention it, if you, of course, agree with this. We are working on confirmation but have just received news from Kingston that, using the HHHL adapter, it ca be used as a boot drive in older systems. We are awaiting confirmation. 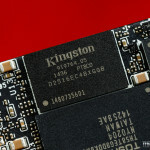 As stated by the Kingston team: “We do have Boot ROM code on the Predator SSDs. For the drive to be recognized and work properly the host system BIOS must be able to enumerate a device plugged into the PCIe sockets. In our labs we’ve been able to upgrade motherboards starting back at Intel 6x chipsets but this test is by no means exhaustive. Users should consult their system / motherboard manufacturer on this before purchasing. ‘recognize’ If it is not recognized it will not boot. We saw this with earlier motherboards and the XP941 SSD. Old post, but hoping someone sees and replies. There appears to be “mixed results” regarding the ability to Boot Win10 on this FuryX Predator m.2 on x58 boards. The one I own is Rampage III Extreme (original, not black edition). It boots some of those revodrives, but m.2 is definitely a different animal. Can anyone out there confirm for this board? Does this support NVMe or are they atleast planning on supporting it ? No NVMe support for now, I am not sure about later down the line. What’s the price for the 960GB version? BTW, it’s not listed on Amazon….? There is no 960GB version. As the report details, the 960 will be available in the future. Oh? But none of the others are listed on amazon? What happened? They are selling like hotcakes. What is part number of HHHL carrier/adapter board? I struggle to make it out from photo. My guess: 2024858-001 A00. For those who may not know, HHHL refers to half hight (a.k.a. low-profile), half length. These are bios settings when you are setting your system. They may differ slightly depending on board. 4k viewing may show some noticeable improvement but gaming might not as the SSD decreases only transition times between scenes for the most part.